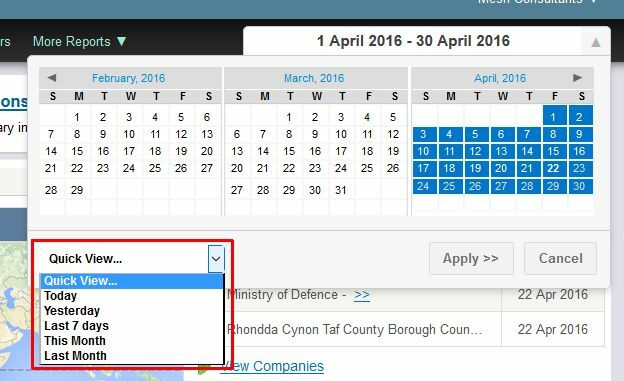 The date picker tool allows you to select date ranges for the data you want to pull out of the A1WebStats system. 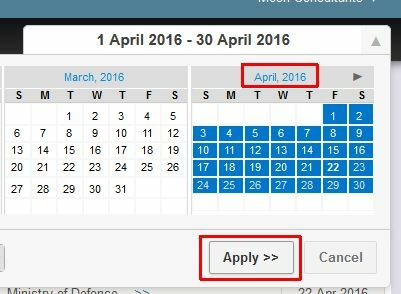 To select just one date, click on the arrow to the right of the date picker tool, click on that one date (which turns it blue) and then click on ‘Apply’. 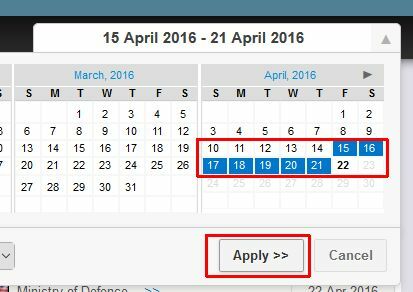 To select a date range, click on the arrow to the right of the date picker tool, click on the first date and then the second date (which turns the date range blue) and then click on ‘Apply’. 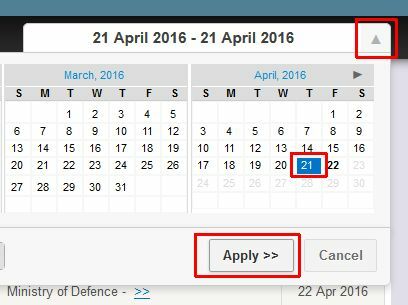 To select a full month, click on the arrow to the right of the date picker tool, click on the month name. This turns the whole month blue, even when there are dates that haven’t passed yet. Then click on ‘Apply’. You can also use the ‘Quick View’ pull down to quickly select preset date ranges.